It truly is the most wonderful time of the year! 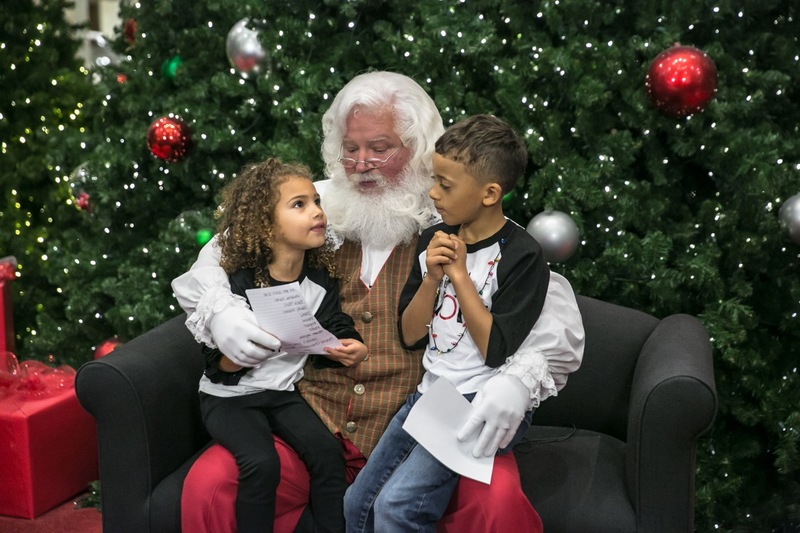 On Sunday, November 19th, more than 260 Bert’s Big Adventure family members gathered at Phipps Plaza’s Court of the South for a Holiday Reunion Adventure with Santa at Phipps. 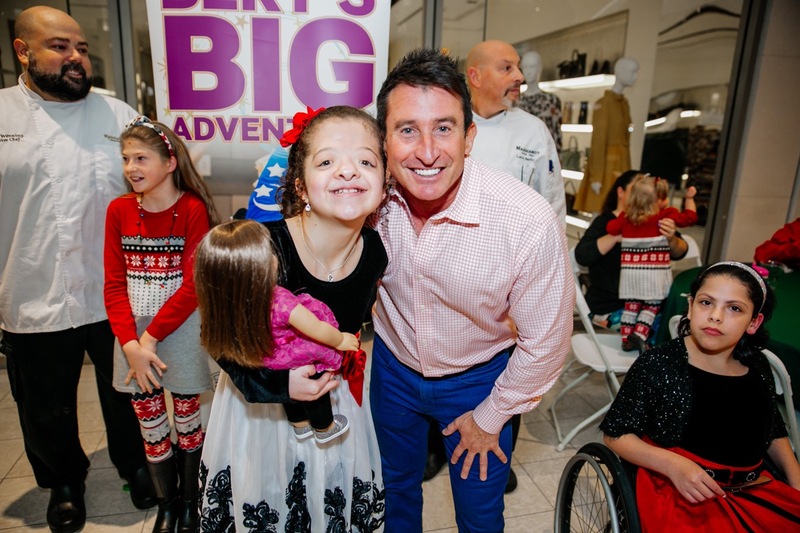 The families, joined by the Bert’s Big Adventure staff and a handful of volunteers, enjoyed a great evening full of holiday cheer! We want to thank all of the extraordinary people who came together to make this a magical evening! 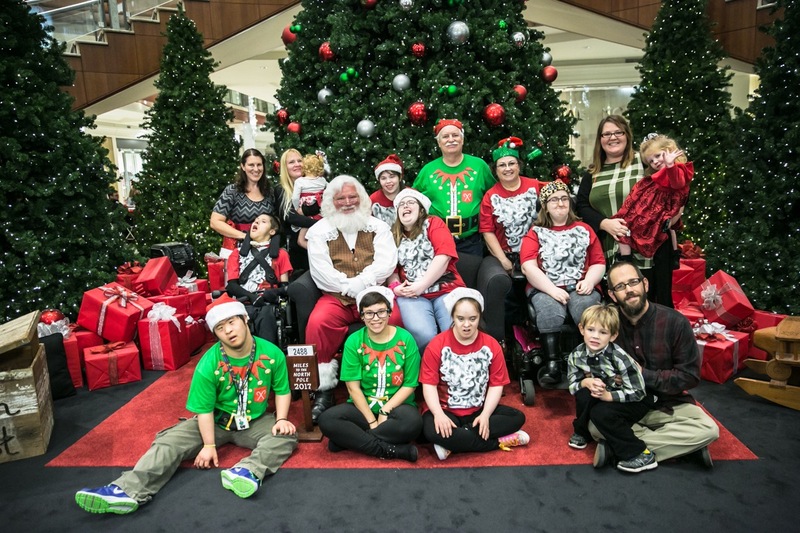 Santa at Phipps – each guest was treated to a complimentary visit with Santa at Phipps and a donated photo package! Thank you! Maggiano’s – Chef Luca and Chef Thomas of Maggiano’s helped cater a beautiful holiday meal for everyone to enjoy. Thank you! The Chicken Marsala and Ziti Marinara were downright delicious! Balloonacy Atlanta – Holland and Sean Musico helped bring the event to life with beautiful decorations! 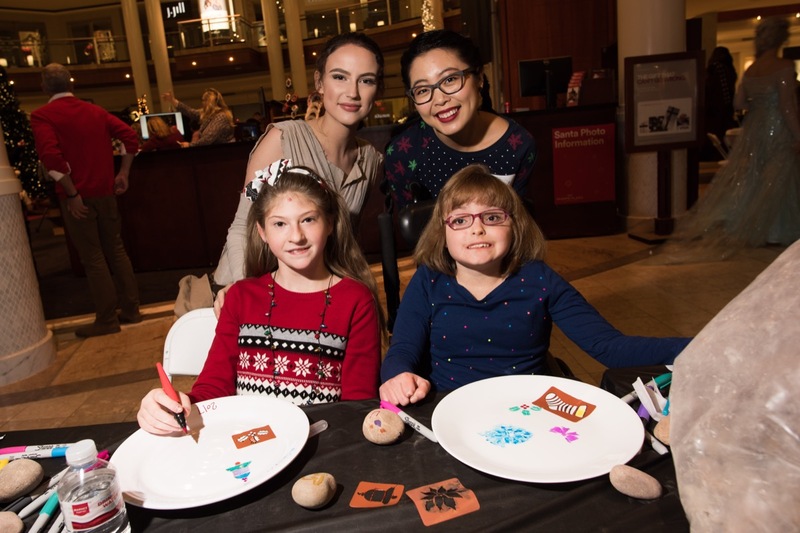 Carter’s and OshKosh B’gosh – Our wonderful partners at Carter’s, OshKosh B’gosh, and Carter’s Cares sent 20 volunteers to assist the kids in decorating Santa Cookie plates and customized Bert’s Big Adventure t-shirts! As always, thanks to our awesome photographers Sarah Esther Photography, Dash Photography, and Monarch Studios for coming out to photograph the event and documenting all of the fun! And of course, we love our video team at Troika Studio! 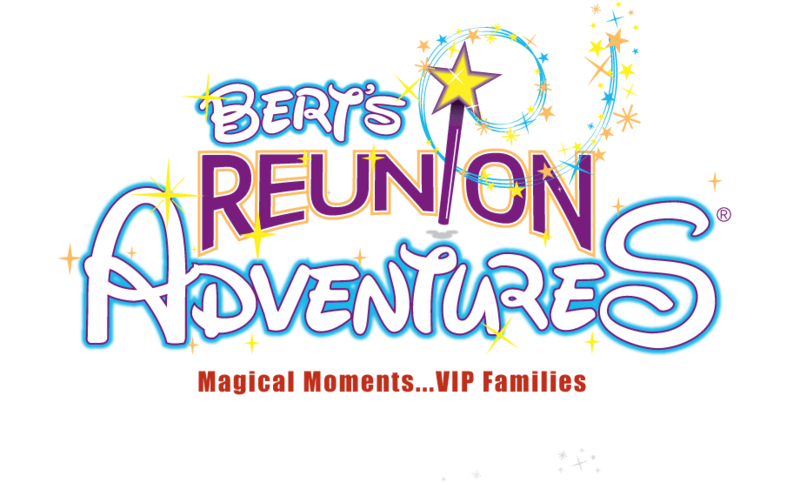 On Sunday, October 15th, Bert’s Big Adventure families enjoyed some fun at our annual fall Reunion Adventure- a family reunion where all families from all previous years are invited to join together for a VIP experience! 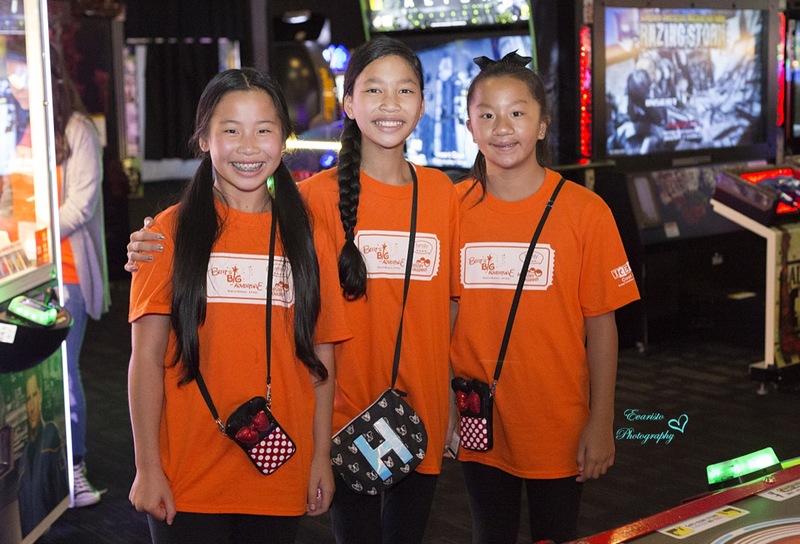 Thanks to the generous donation from Dentistry for Children and Family Orthodontics, this fall reunion was hosted at Dave & Busters in Marietta! 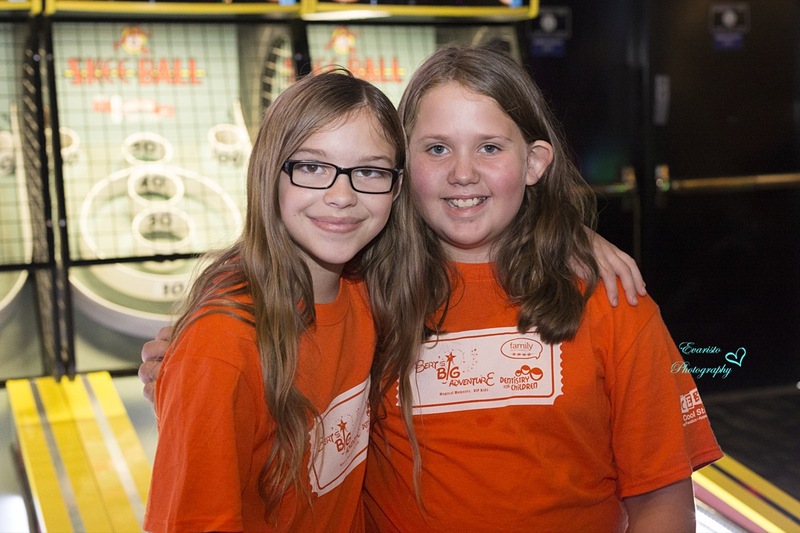 The families, joined by the Bert’s Big Adventure staff and a handful of volunteers, had a great afternoon enjoying unlimited gaming classics including Pac-Man, Skee-Ball, and Pop-A-Shot, along with other entertainment and a beautiful meal. We also had a record number of family members in attendance, hosting nearly 430 people for the afternoon! A very special thank you to The Icebox for donation our awesome matching t-shirts! We also want to thank our guest photographers, Kristi Evaristo from Evaristo Photography and Chelsea Patricia! The afternoon would not have been possible without the help of amazing friends and partners, Dentistry for Children and Family Orthodontics! 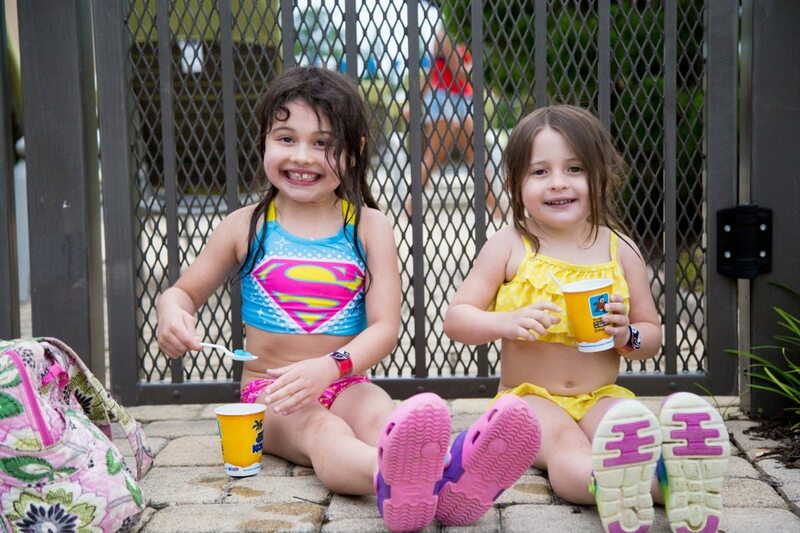 On Sunday, June 25th, Bert’s Big Adventure families enjoyed some fun in the sun at the 10th annual Splash Bash Pool Party Reunion Adventure! 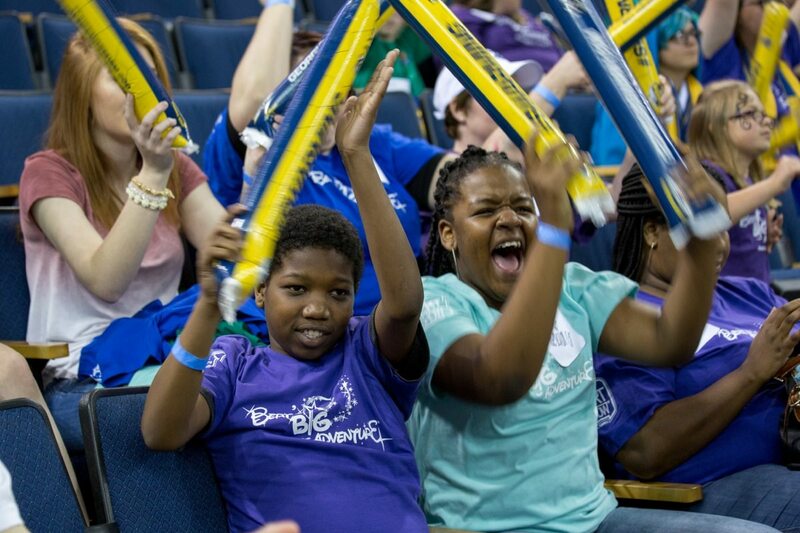 More than 250 Bert’s Big Adventure family members were in attendance. The families, joined by the Bert’s Big Adventure staff and a handful of volunteers, had a great afternoon in and around the pool! For the second year in a row, Life Time Athletic in Sandy Springs donated their facility for our VIP pool party! Families gathered for an exciting, three-hour swim. DJ Willie T (aka Tommy from The Bert Show) made a guest appearance and provided some fun tunes for the kids to dance to! Guests enjoyed gourmet burgers and hot dogs served by The Loaded Burger, delicious pizza from Blue Moon Pizza and shaved ice from Kona Ice! Thank you to Sarah Esther Photography and Cassandra Young Photography for coming out to photograph the event, and a big thanks to Always Better Production for capturing video! Another special thank you to our Fairy Godparent volunteers and our friends from Carter’s/OshKosh who took time out of their day to have some fun with the Bert’s Big Adventure families! 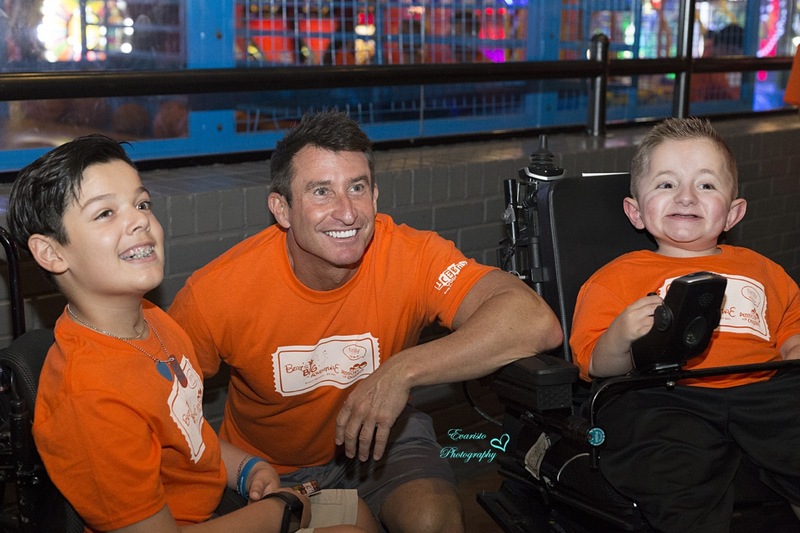 Last, but certainly not least, thank you to Life Time Athletic in Sandy Springs for providing a fun-filled day for the Bert’s Big Adventure families! 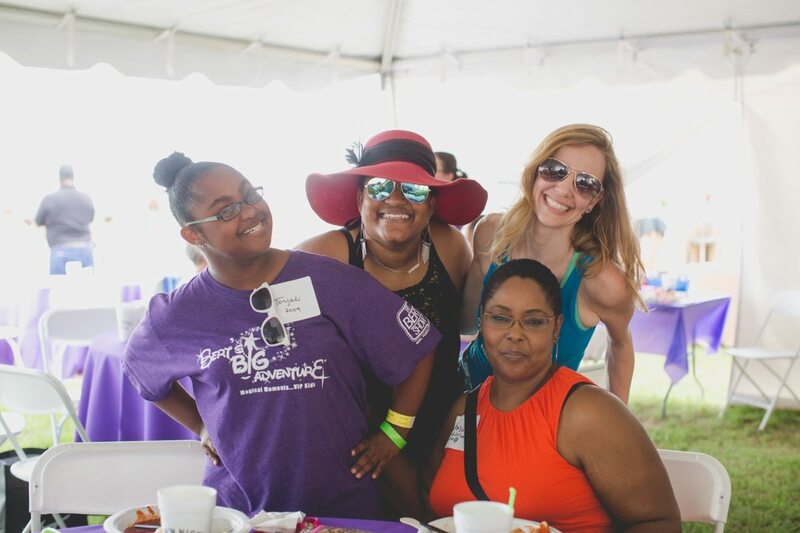 On Saturday, April 22nd, the Bert’s Big Adventure families from all past trips were invited to gather together for the Spring Reunion Adventure at the 52nd Anniversary of the Atlanta Steeplechase! The weather couldn’t have been more perfect that day! 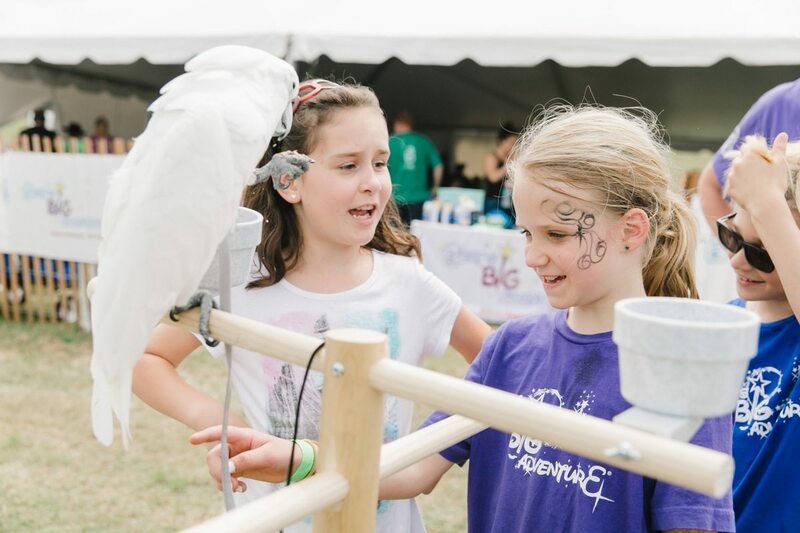 Nearly 200 Bert’s Big Adventure family members joined in on the day of fun, along with staff and volunteers. 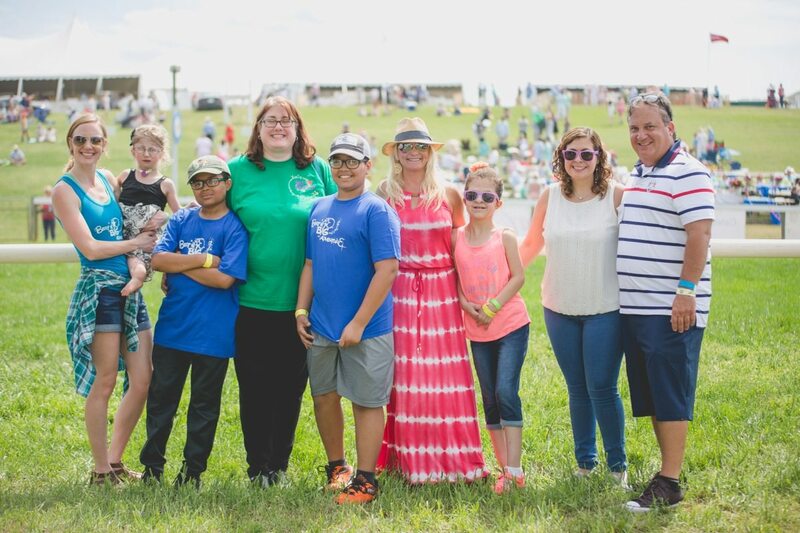 Guests enjoyed a full day of horse racing, along with other entertainment like a hat parade, Jack Russell terrier races, skydivers, the Budweiser Clydesdales and more. Families cozied up on the hillside to watch the excitement as the kids played with bubbles donated to Bert’s Big Adventure through Kristin and Bart’s registry. Along with delicious catering by Jim ‘N Nick’s BBQ, the private Bert’s Big Adventure tent was alive with entertainment, as well! GG Face Painting provided face painting, TNT Fun Times provided an interactive photo booth and Atlanta balloon artist, Avan, entertained the kiddos with balloon animals. Our friend Mike joined us for the day with his friendly cockatoo, Tonto. Last but not least, the kids got to enjoy private line dancing lessons from Ruth Engelberg! A huge thanks to our photographers – DASH Photography, Stephanie Madison Photography, and Brandon Rains for documenting the day with photos, and to Troika Studio for capturing the magical moments on video! 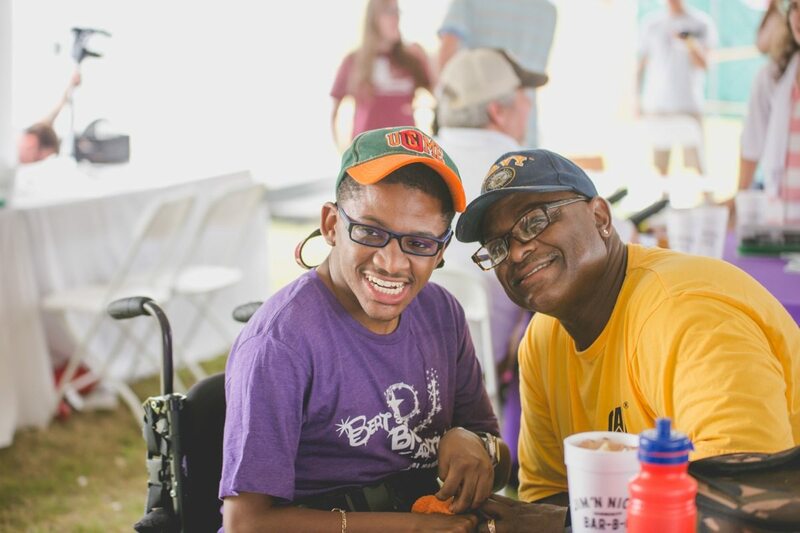 And of course, thank you to Atlanta Steeplechase for providing an amazing day for our families! 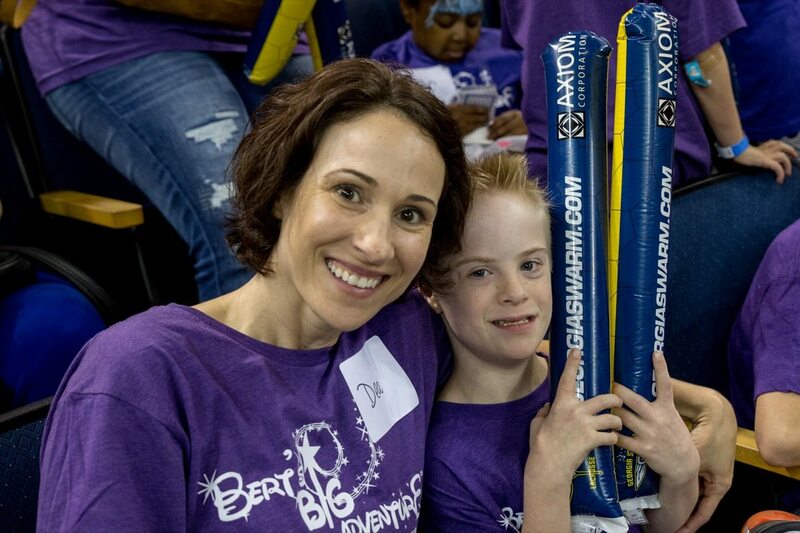 On Saturday, April 1st, the Bert’s Big Adventure families from all past trips were invited to gather together for the spring Reunion Adventure at the Georgia Swarm game against the Colorado Mammoths! 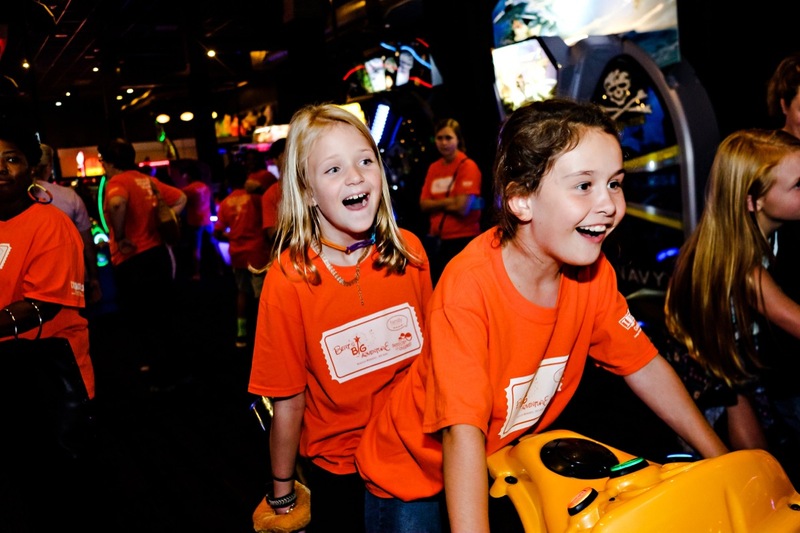 Nearly 200 Bert’s Big Adventure family members joined in on the evening, along with staff and volunteers. Guests had the chance to enjoy a catered dinner by Proof of the Pudding, getting their faces painted by GG Face Painting and forming the tunnel that welcomed the team onto the field before the game! 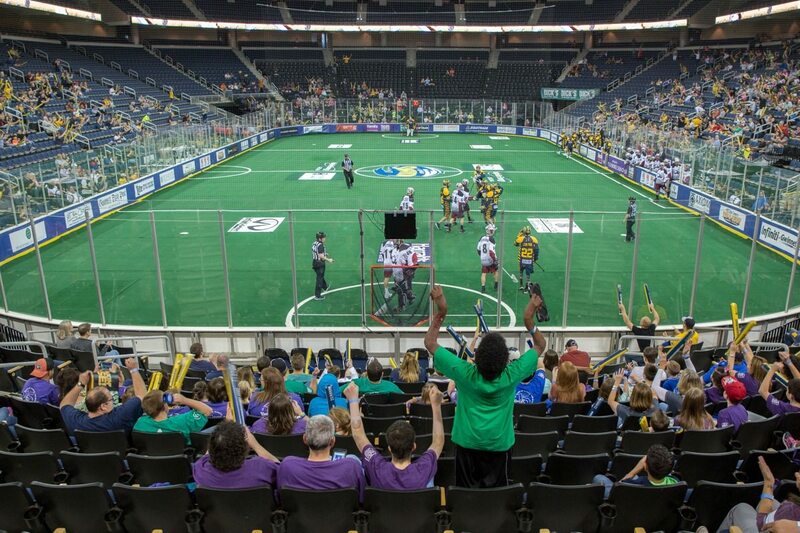 After the pre-game excitement, families moved to their seats where they cheered the Georgia Swarm to victory, 21-13. 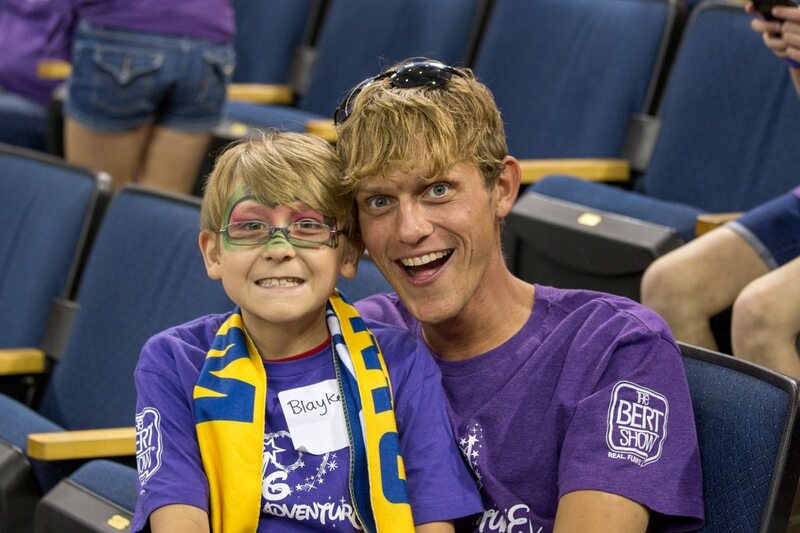 Among the reunion attendees was Bert’s Big Adventure 2017 kiddo, Chris Watkins, who was signed to a one-day contract with the Georgia Swarm in March! Check out photos and read about his professional lacrosse debut. Thanks to Sarah Ester Photography and Brandon Rains for coming out to photograph the event. A big thanks to Rett Thompson Video and Always Better for capturing video!